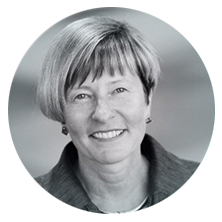 Denise Amyot has been the President and CEO of Colleges and Institutes Canada since 2013. Colleges and Institutes Canada (CICan) is the voice of Canada’s publicly-supported colleges, institutes, cegeps and polytechnics, and an international leader in education for employment with ongoing programs in over 25 countries. CICan’s members add over $190B to Canada’s economy each year and contribute to inclusive economic growth by working with industry and community partners to offer more than 10,000 programs to learners in urban, rural, remote, and northern communities. In her previous role, she was the President and CEO of the Canada Science and Technology Museums Corporation, a Federal Crown Corporation, providing leadership in three national museums to foster scientific and technological literacy throughout the country. She has worked as Assistant Deputy Minister at the federal level in her last three roles. She worked in policy and programs in social, scientific, economic and cultural areas both in National Headquarters and in regions in several federal departments including Human Resources Development Canada, National Defense, Natural Resources Canada, Indigenous and Northern Affairs, Canadian Heritage, and two central agencies of the Government of Canada: the Public Service Commission and the Canada Public Service Agency (now Treasury Board). She also worked as an administrator for the Department of Education of the Northwest Territories (NWT) and taught in Ontario, Quebec and the NWT. Currently, she is the Past Chair of the World Federation of Colleges and Polytechnics after being the chair for 4.5 years and the Chair of the Advisory Committee of the Institute of Science, Society and Policy (ISSP). Denise is also on the Human Resources Policy Committee of the Chamber of Commerce and on the Advisory Council of the Schulich Centre for Excellence in Public Management, Western University and on the Board of the Ontario Trillium Foundation and of the Canadian Centre for Science and Policy. Denise is the recipient of several awards in leadership and a sought after speaker both at the national and international levels.